CAN I BUY A SIM CARD IN CUBA? Yes, you can buy a SIM card for your mobile phone when you are on holiday in Cuba. WHERE CAN I BUY A SIM CARD IN CUBA? 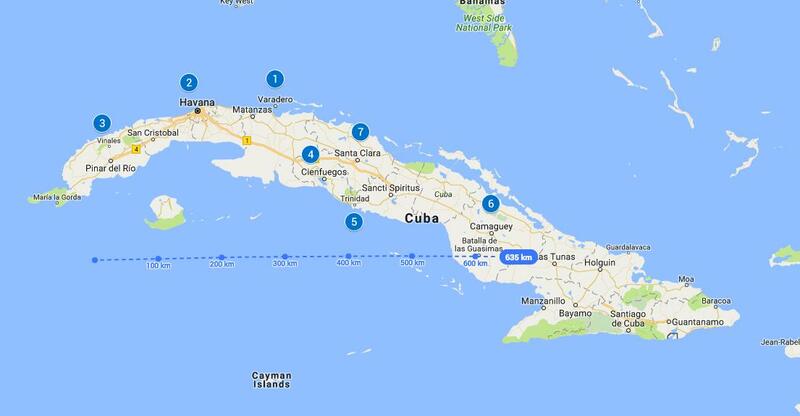 You can go to any ETECSA office in Cuba to buy a Cuban SIM card. I went to the ETECSA office located at the bottom of the FOCSA building in Vedado on calle M in Havana. When I arrived at the ETECSA office there were 2 queues. You need to know who is last in the queue so ask for “el ultimo”, this is a general rule in Cuba. The gentleman asked me what for “para que?” as each queue serves a different purpose so I said “para sacar una linea” and he pointed me to the relevant queue. The line-up for the queue was outside in the sun and a security guard inside the ETECSA office waved us in one at a time when there was a sales person available to deal with our enquiry. I was lucky as I was in the queue for around 5-10 minutes, which is quick for Cuban standards, sometimes you can be in the queue at ETECSA for a lot longer, especially when going to an ETECSA office in the provinces around Cuba, so it is probably best to go to an ETECSA office in Havana. In general, things in Cuba are not always available when you want them. Sometimes you can be waiting in a queue for 1 hour only to find out that there are no Cuban SIM cards available to buy when you get inside the ETECSA office. One way to avoid this from happening is to speak the security guard inside the ETECSA office and ask if there are any Cuban SIM cards for sale before you join the queue. DO I NEED IDENTIFICATION TO BUY A CUBAN SIM CARD? You should take the mobile phone with you because the sales person wants to insert the chip into the mobile phone to check that is functioning. I prefer taking an old mobile phone with me to Cuba so I can use to communicate with friends and family in Cuba, i.e. to make local calls within Cuba. HOW DOES THE CUBAN SIM CARD WORK? There is only one telecommunications company in Cuba; ETECSA, there are no other service providers in Cuba offering mobile phone contracts (November 2017). The permanent Cuban SIM card costs 40 CUC, it comes with 10 CUC credit. Before I leave Cuba if I add credit to my phone the line will remain active for 11 months, so when I return to Cuba I can use the same SIM card and Cuban mobile phone number. If I am away from Cuba for more than 11 months, I can charge the phone online via various online service providers (I tend to use DING or Cuballama) to keep the line activated. The temporary Cuban SIM Card is 3 CUC per day. 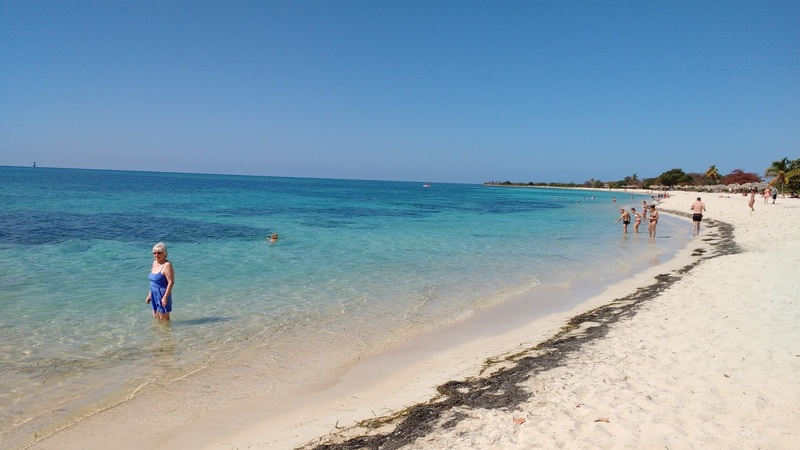 This is a good option for people who are on holiday in Cuba for a short time. WHERE CAN I TOP UP MY CUBAN MOBILE PHONE CREDIT? There are many private businesses acting as agents for ETECSA in Cuba. They can be working from their Casa or have a small shop. You will see small ETECSA signs posted on doors or windows, or you can ask your Casa host in Cuba to let you know where your nearest agent is so you can add credit to your Cuban SIM card. Experience the Real Cuba offers cultural activities and programs in Cuba supporting local Cuban private businesses, as well as organising accommodation in Casa Particulares. 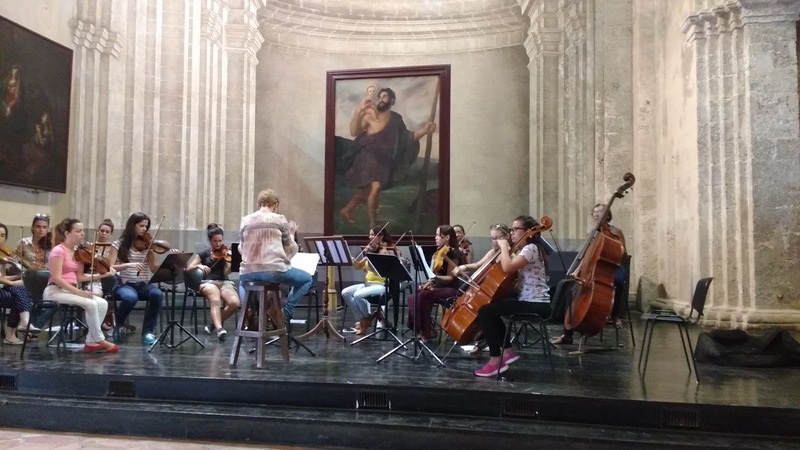 A Trip Through the Real Cuba the story continues, is written by Mary and Jack, our wonderful guests who stayed with us in our network of casa particulares throughout Cuba in February 2017. 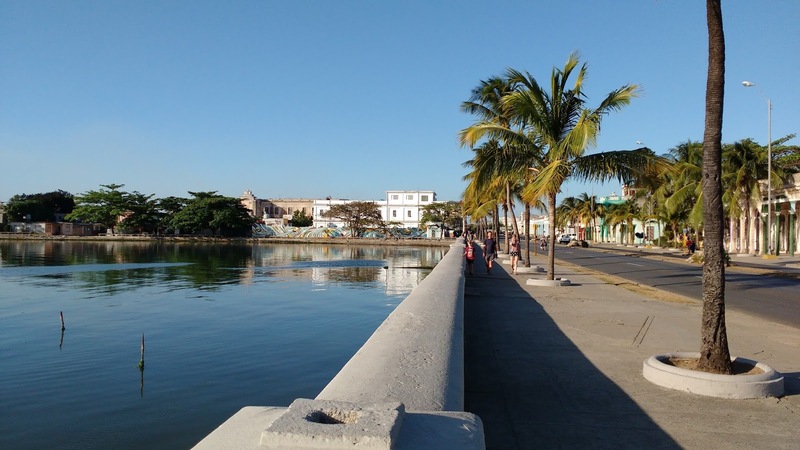 After a delicious breakfast at 6am, our Casa host Dayne arranged a taxi to the Viazul bus terminal…it would be a six hour trip from Viñales to Cienfuegos, with a rest stop half way. 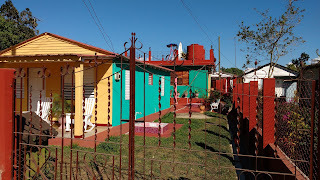 Our hosts in Cienfuegos were at the Viazul bus terminal to meet us and drive us to their home in Punta Gorda, a modern suburb south of the city. Our casa was a small attachment through the garden to a kitchen and bedroom, bathroom and well-stocked fridge. The hosts, Arelys and Norge also prepared supper for 7pm: fresh shrimp, salad, rice, ice cream and coffee. 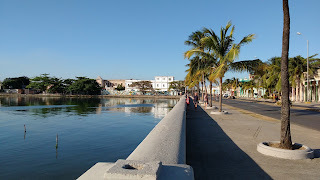 The following morning, we walked along the Malecón toured the Naval Museum, the Provincial Museum and had a good look at a square-rigged sailing ship at a nearby dock. After a rest in the afternoon we caught a ride with Norge into town, first stopping at the Viazul bus station to arrange transport for the next day, Then ambled around the town market, tried fresh coconut milk and enjoyed a beer by the Malecón. The Spanish influence and architecture was the main feature of this quiet town…next time we will take a guided tour to learn more about Cienfuegos than we were able to on this short visit. After a full breakfast at 7am at the Casa, Norge drove us to the Viazul bus station. We bought our tickets to Trinidad and joined the confusion in the waiting area. After several false starts we got seated in the right bus, and were off! Again, we were met at the Viazul bus station in Trinidad, this time by a young fellow (Jamie!) driving a tricycle-taxi. He took us on a ten minute drive to our next casa, mostly downhill. His contraption had a sturdy frame and balloon tires - quite robust, and one hardly felt the original cobblestones of this 16th century city. Casa Misleydis & Gustavo in Trinidad was a warm and friendly B&B close to the centre and our hosts could not have been more welcoming. 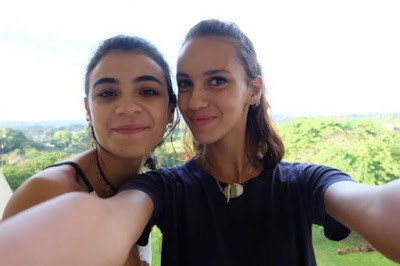 Misleydis was our main contact in Cuba and Rena our contact before arriving in Cuba kept Misleydis alert to our movements around Cuba….Misleydis was our contact for any problems at a local level and a fount of knowledge on all things Cuban. It was also a real plus to be able to communicate in English. We looked forward to spending the next three nights in her comfortable casa. Our first challenge was to get bus tickets to our next port-of-call, Camaguay. Waiting in line to put your name on a list seems to be the norm….we were certain to get a seat as we booked three days in advance, but we had to show up an hour before the trip to pay and get the tickets. Touring central Trinidad was delightful, with many Spanish colonial houses and buildings to see, bands on each corner and watching the world go by….we dined early, and well, in a nearby restaurant recommended by Misleydis….in fact we went back to Restaurant San Jose for dinner each night we were in Trinidad! Our patio breakfasts at the casa were generous and hearty, enough to make a snack for lunch, with some fruit and water. 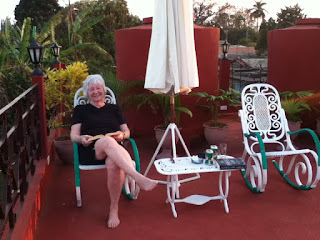 Then more exploring, reading in the cool upstairs or lounging in the hammock on the patio, siesta, and out again. 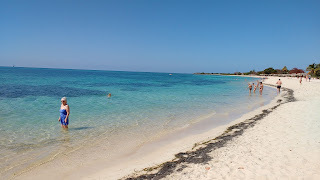 Our last day involved a taxi to the beach for a few hours…beautiful sand, warm water and hot sun. Our driver, Mario, kindly returned to the beach later to take us back to town. 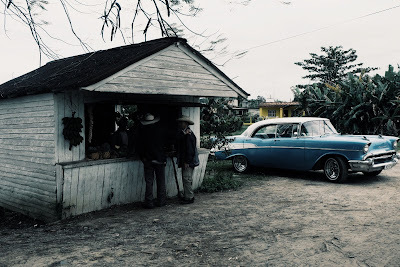 Trinidad was such a user-friendly town - we could have stayed longer…early Thursday morning, a taxi ride in a decrepit ’50 Buick (we weren't sure we would make it without pushing) got us to the Viazul bus station and we were away. Experience the Real Cuba would like to thank Mary and Jack for booking their Cuba trip with us and for sharing their Cuban adventures on the Experience the Real Cuba blog. 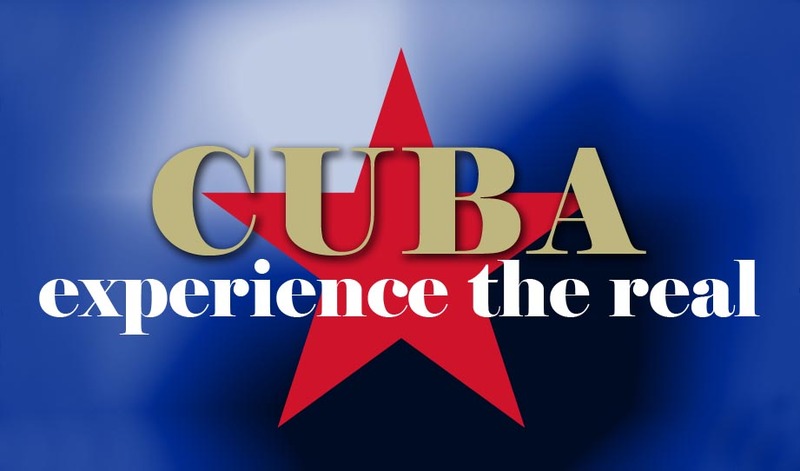 Contact us at Experience the Real Cuba to book your personalized trip to Cuba. A Trip Through the Real Cuba is written by Mary and Jack, our wonderful guests who stayed with us in our network of casa particulares throughout Cuba in February 2017. 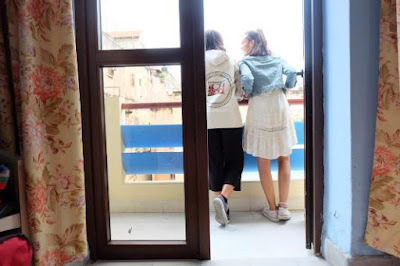 Our first casa particular (Casa Maruchi) in Havana provided a large bedroom in a second-floor apartment, facing the ocean, which we shared with Maru, Aida and their friendly dog. After settling in and a walk around the Vedado neighborhood, we enjoyed a delicious Cuban supper prepared by our Cuban hostesses, then early to bed. Breakfast the next day was as excellent as it was generous - the coffee in Cuba was especially good throughout our visit. The apartment was not far from the Riviera Hotel and the huge 500-room Melia Cohiba Hotel in Havana, in which we found a Transtur agent...and bought our bus tickets to Viñales for three days later. We also boarded the Hop-on-hop-off bus outside the Riviera, bought our day’s ticket - an easy way to get to and from our apartment while seeing the sights of the process. Our comfortable three-hour bus ride through the Cuban countryside, ended at the bus station in Viñales, where we were met by our hosts Randy and Dayna. We taxied to their home, by far the most comfortable of our casas. Newly built by Randy, an industrial engineer and furnished by Dayna, this young couple was working hard showcase Viñales with first class accommodation for foreign visitors. Their separate cottage featured tile floors and bathroom, double beds, a fridge with beer and water and a rooftop patio. Dayna served us a delicious Cuban supper and helped arrange a guided tour of the local attractions in for the next day. Our day consisted of a visit to to the caves and a boat ride among stalactites and stalagmites, a tobacco plantation, Botanical Garden and excellent seafood lunch (El Campanero). Finding it a bit too hot for the climb up the hill, Mary asked a young fellow (Alexander) on a horse-drawn cart if he would take us back to our casa in Viñales, and he was happy to do so for a couple of CUCs. 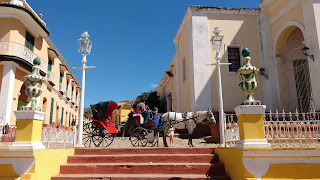 There are many such vehicles in Cuba, some used as taxis but most as the family car would be used in Canada - the structure consists of a robust frame and axle, with bearings, car wheels and tires and the shafts that connect to the horse. 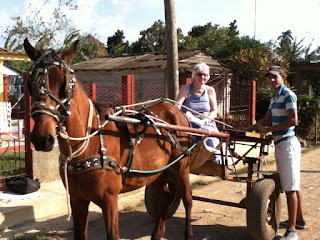 It is quite a comfortable ride considering the condition of the roads in Cuba, which are often cobblestone. The small Cuban horses seemed well taken care of, and lively in spite of the temperature, a hot 32℃. 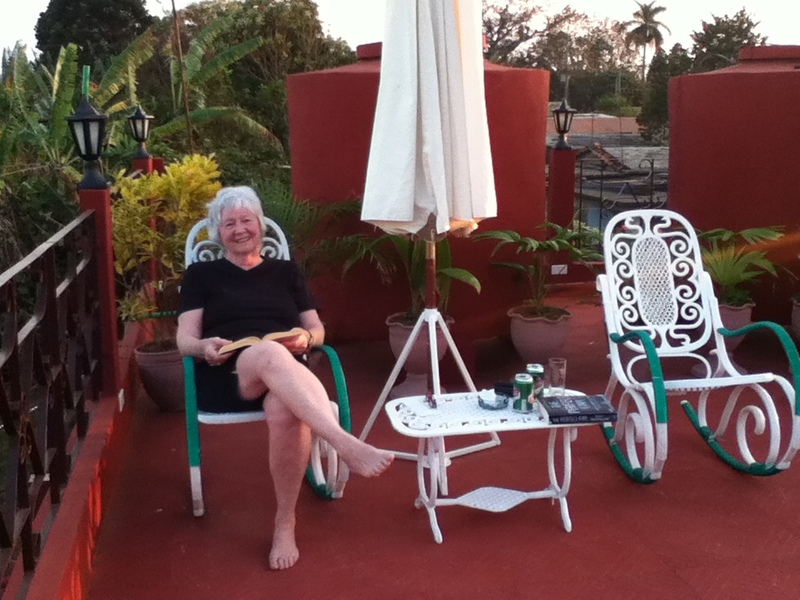 We had a nice picnic supper on the roof, read books and retired early. To find out more about their Cuban adventures, check out "A Trip Through the Real Cuba 2" by Mary & Jack. Check out this amazing video of Cuba Havana by Karim Rashad & Jessica Ross. Thanks to you both for featuring Experience the Real Cuba and taking part in our Salsa lessons with our partner SalsAmiga dance studio. Me and my hobo set out to Cuba in January 2016. Cuba has been on the top of our list for years, we’ve saved up a great amount and had spent months doing our research to the point that by the time we got to Trinidad, we knew the street names by heart. Little did we know, our three-digit budget was about to take a speeding swing down to 0. 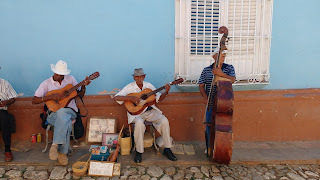 Before heading out to Cuba we had already made all our Hotel reservations online and so we set out with a budget that would cover our daily expenses and internal transportation. The plan was to start in Havana then backpack across Cuba and end the trip in Baracoa (sounds like reasonable plan, doesn’t it?). By the time we got to Viñales (which was our 3rd city to visit) instead of spending two nights there we ended up staying for a week. That’s when the financial crisis and excitement began! Accommodation, Transportation and Daily Expenses (WHAT!). Not only did we manage to rent a room to sleep in but we also managed to visit two more cities! 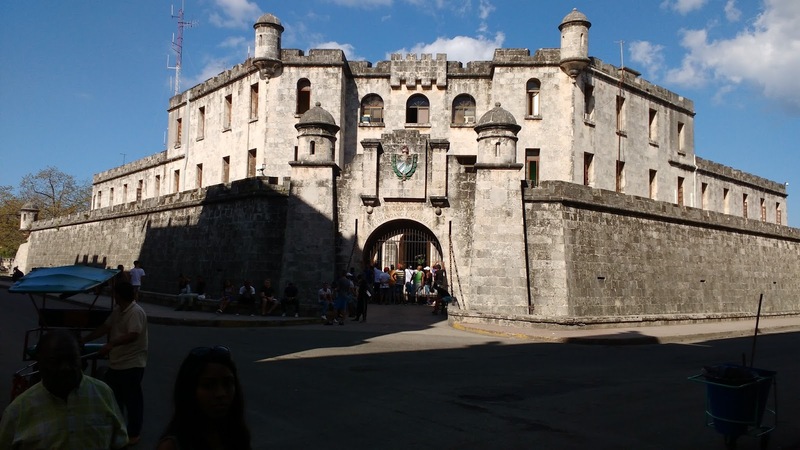 You can’t simply go all the way to Cuba and not pass by Trinidad, can you? Any Cuban you come across will almost always recommend you to go to Trinidad. What’s there not to like? From cave parties, sugar cane fields, tobacco fields, waterfalls, mountains, horse-back riding to THE Hershey City-Tour Train. Shall I say more? By the time we made it to Trinidad, we had been surviving on biscuits, $2 Pizza and tap water for the past 3 days. That was until our host came up to me and genuinely offered to buy my clothes (but wait, let me explain). It is almost impossible to find clothing stores in Cuba except in Havana and with a maximum wage of $20–25 per month, Cubans can rarely afford to purchase clothes. For those not living in Havana, it is impossible. Being far away from Havana, our host asked if we had spare clothes to sell for a reasonable price and we sure as hell did! For $15 we had sold: 2 dresses, 3 pair of pants, 2 scarves and 5 shirts. She had bought herself and her daughter a few flowery-patterned pieces of clothing and we had earned enough cash to keep us alive the next couple of days. A win-win situation is what it is! 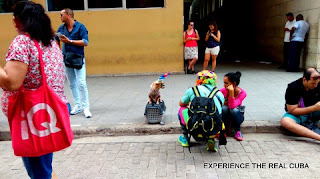 To top that off, before we departed to catch the bus heading back to Havana, she had prepared 2 pieces of bread for us, a juice box, fried chicken and a free ride to the bus station! 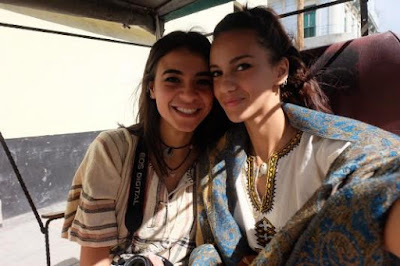 Lara Sabry was born in Venezuela and spent the majority of her life moving around Latin America until moving to Belgrade in 2005 and to Egypt in 2009. Laura went to Cuba in January of 2016, and found that Cuba was one of the most profound places she had visited. She spent 2 months roaming around Cuba and truly believes that for the first time she has found a place she could call home. 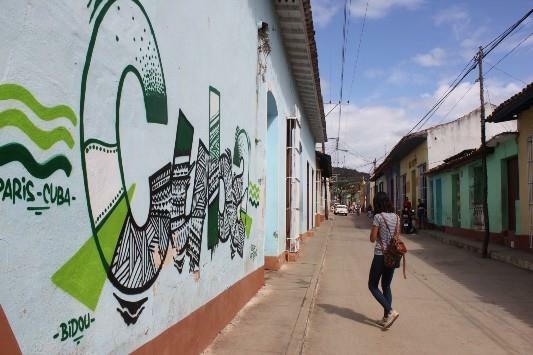 CUBA, VIÑALES: JUST ANOTHER CITY? Every traveler out there has a wish travel list; and Cuba was on the top of mine. Initially me and my hobo travel pal, had done our research, confirmed our Hotel and Bus reservations before traveling back to the 60s. 3rd Stop- Viñales (2 nights) and right there, our trip was about to take a turning point. Let me tell you why our 2 nights in Viñales, turned into one whole week in Viñales. Instead of taking a Viazul bus from Pinar Del Rio to Viñales, we settled for a one-hour taxi ride instead. We paid half the amount we would’ve paid for a Viazul bus ticket and the taxi driver suggested a few stops that we could make on the way. First Stop Bienvenido a Viñales! Located in the Sierra de los Órganos mountains, is the Valle De Viñales - a hill top area that overlooks the alluring texture created by nature. From mountains to tobacco fields. The higher the humidity, the better the view! Around the area there’s a bar that serves the best Mojitos and Piña Coladas. So, sit back, gaze at the view and if you’re lucky enough, there may just be a Salsa / Rumba live performance. Shall we dance? Welcome to the city of endless creativity! Only a 15-minute drive from Valle De Viñales, is Mural de la Prehistoria; a dazzling piece of art! Originally designed by Leovigildo González Morillo in 1961 - it took 18 artists and four years to complete this strikingly inspiring beauty. The painting consists of a snail, dinosaurs, sea monsters and humans - why? symbolizing the theory of evolution. Pretty intriguing! By this beautiful site is a restaurant that serves deliciously cooked meals and creatively made cocktails; entrance fee to Mural de la Prehistoria is 5CUC (5$). 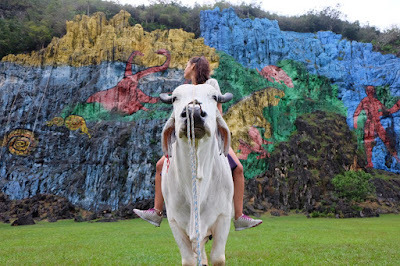 Don’t be scared to go all out and ask for a quick bull ride! Shall we explore some more? This was one of the major highlights for me and le hobo! 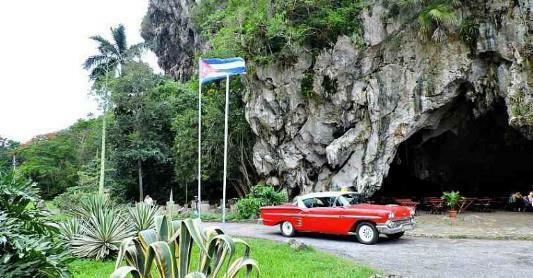 Cuevas De Santo Tomas is the largest cave located in Cuba and the second largest in Latin America. Exciting! 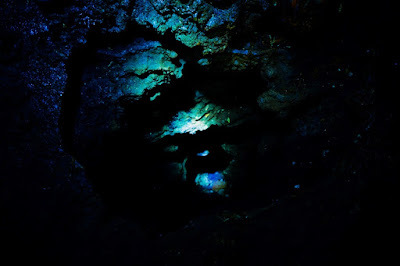 The cave consists of 8 levels overall; however, visitors are only allowed to explore up to the fourth level, for safety reasons. Before you begin your adventure, you’re asked to choose the levels you’d like to explore. 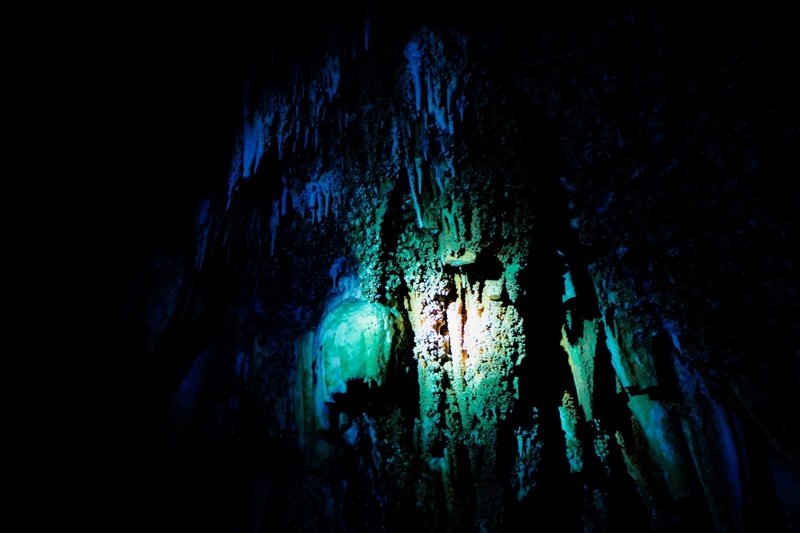 We chose, what they call, the ‘Special’ package, which includes climbing through all four levels whilst being told the complete background history of the cave. To get to the cave, you’re escorted through a 15 minute walk (slightly up-hill) through Tobacco, Coffee and Sugar Cane plantation fields. What makes the adventure worth-while? You’ll be mind-blown by the rock formations found within the cave, that have been created over hundreds of years, the underground pools, instrumental musical rock tools and finally, bats will gladly keep you company through-out your tour. Being the awfully goofy person that I am, I fell a few times trying to climb my way through the cave - If you have poor stamina, you may want to be extra careful. Note: The Special Excursion costs 20CUC (20$) per person. 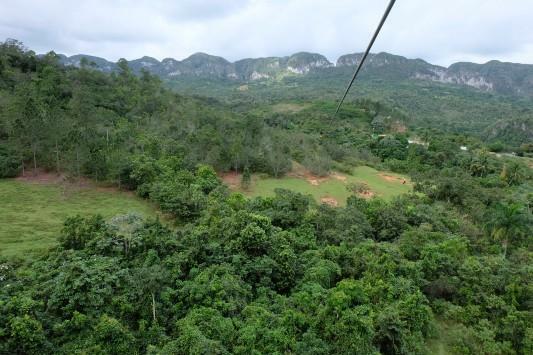 Given that Viñales is a city, encircled by colorful mountains and large areas of greenery, can you imagine what it would be like zip-lining through it? 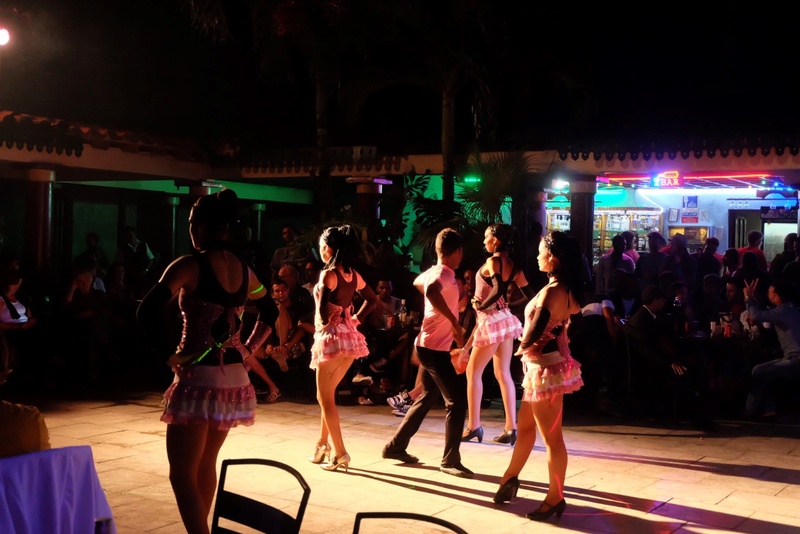 Every city in Cuba has its nightlife ‘ritual’. What’s similar between all rituals? The party doesn’t stop. Viñales was my favorite! Me and Le Hobo arrived to Viñales in the morning and so we had a little time to explore the city before sunset. By the time it was 8PM we were already exhausted and decided to settle for a laid-back beer session in one of the bars located in the center. After a few beers, we couldn’t resist the Reggaetón music and we curiously went to see where it came from. ‘Casa de la Música’ (or House of Music), only a few minutes after we entered this lively place, we had already met a few locals that were about to make our stay in the city a worthwhile one! Around 10 is when everyone heads to Casa de la Música to start their night - From Salsa to Reggaetón. catch a taxi. Of course, we too wanted to see what Palenque was all about. 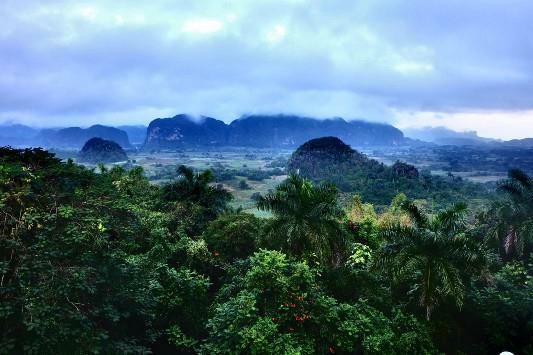 Viñales will grow on you; with everything it has to offer, from its nightlife to its natural sights and the wonderful humans that live there - eventually becoming your little Cuban family. If ever in Cuba, make sure you give Viñales more than two days. 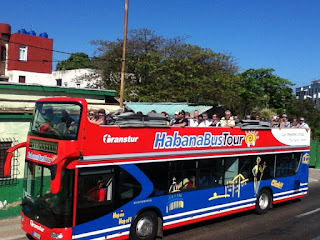 Transtur in Cuba no longer run a transfer service from Trinidad to Viñales. If you want to travel with the Transtur, they only operate a service from Trinidad to Cienfuegos or from Trinidad to Havana. 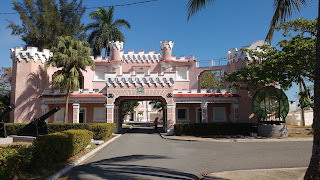 You have to be at Parque Cespedes in Trinidad at 08:00am outside the Iberostar Hotel and it drops you off at key hotels in Cienfuegos and Havana. Experience the Real Cuba does not take bookings for the Transtur service and it is not possible to make a booking with Transtur online. 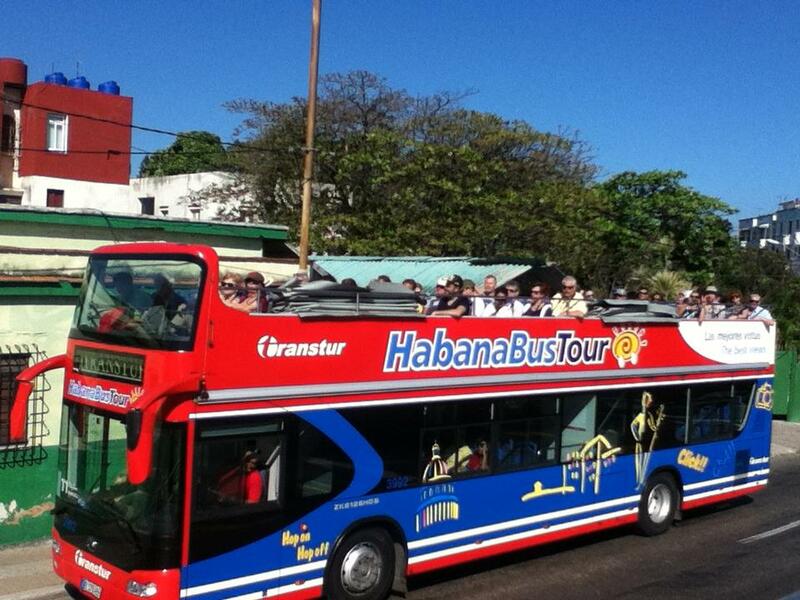 The only way to book a Transtur service from Trinidad is at a Cubanacan travel agency. There is a Cubanancan agency in Trinidad located on Maceo on the corner of Desengaño in the pastry shop / internet café. There is also a desk at the Universo shopping area on Jose Marti between Colon and Rosario opposite the BANDEC bank. You need to make the booking in person at least 2 days before you want to travel and pay in cash. 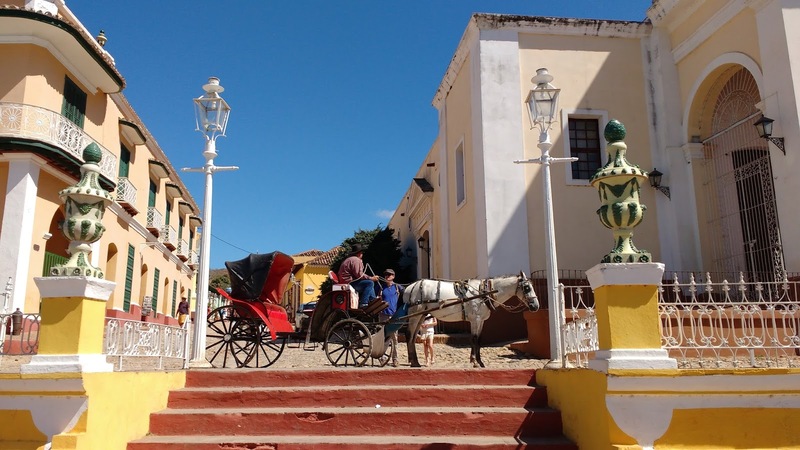 If you want an alternative method of travel from Trinidad to Viñales or from Trinidad to Havana, Experience the Real Cuba offer a shared taxi service. These are door to door services, they start collecting from Casas at about 08:30am in Trinidad. 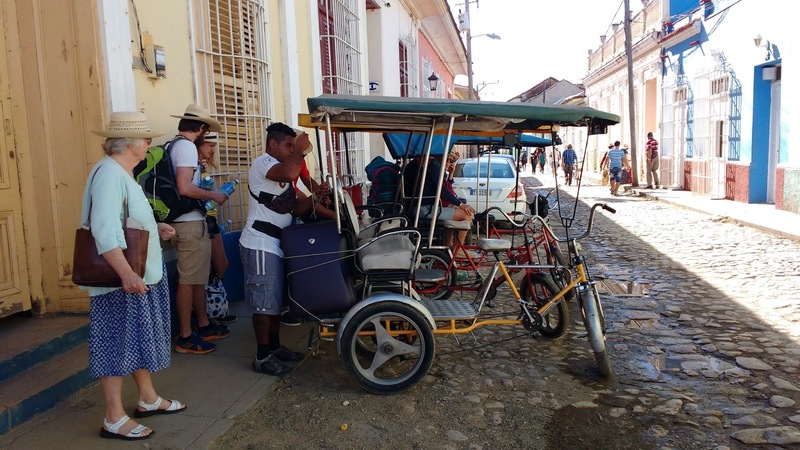 Experience the Real Cuba also offers a private taxi service from Trinidad to Viñales, from Trinidad to Cienfuegos, from Trinidad to Havana and from Trinidad to other locations around Cuba.